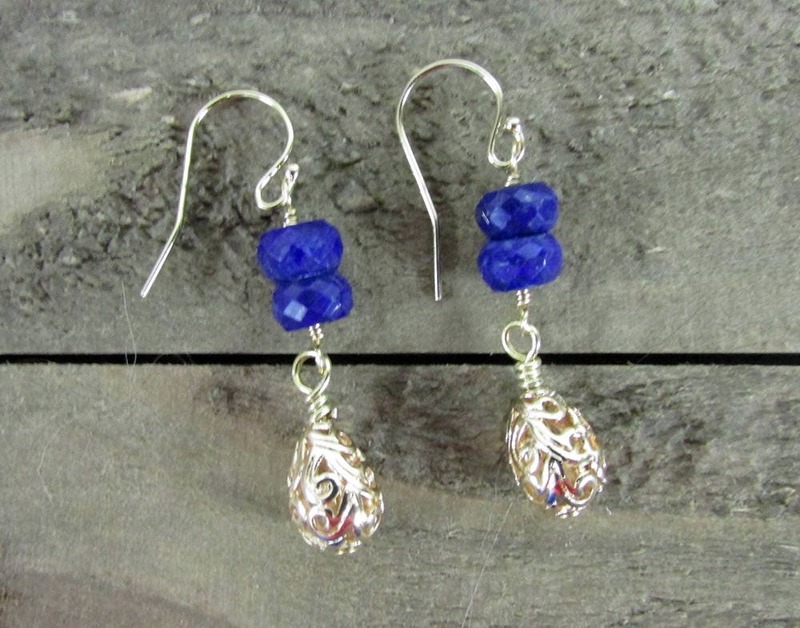 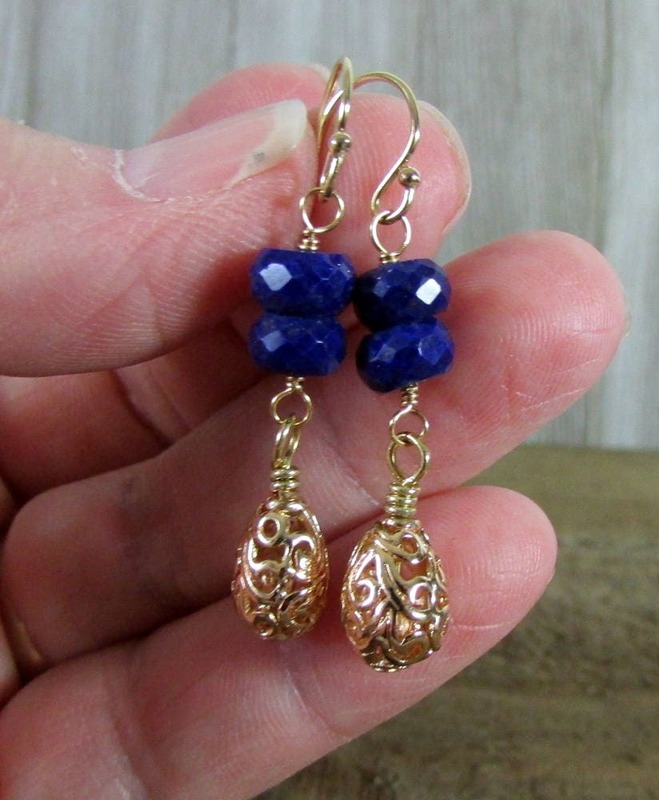 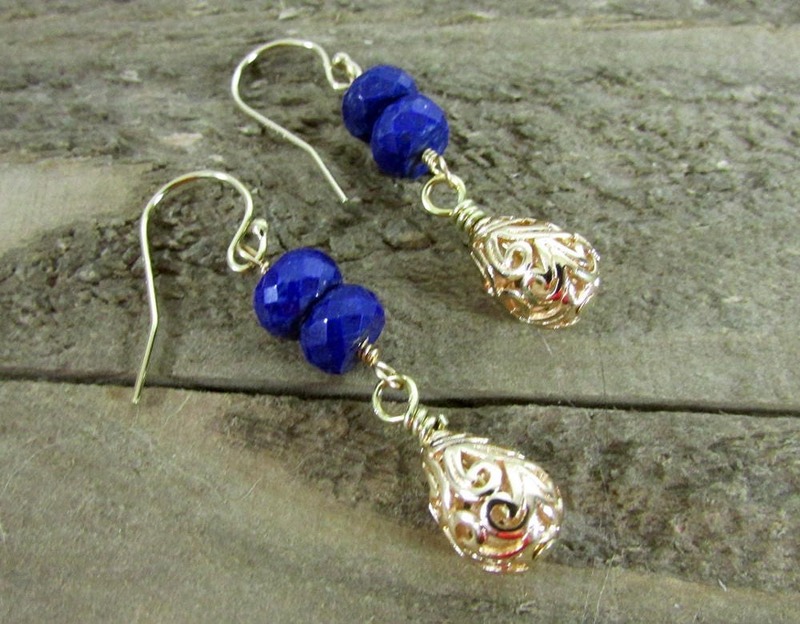 This beautiful pair of gold filigree and blue lapis gemstone earrings are made with 8mm grade AA Lapis gemstone rondells and a Gold filled filigree teardrop bead. 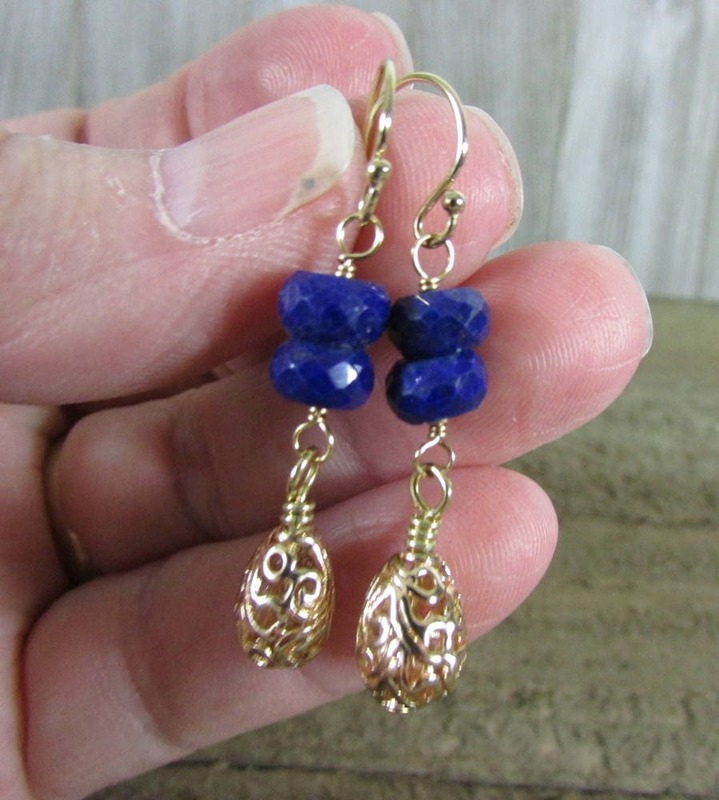 Finished with 14K gold ear wires. 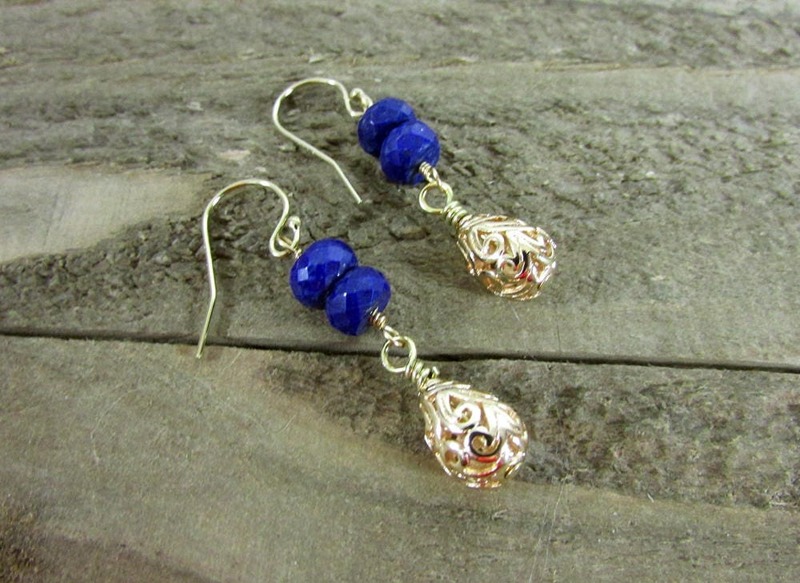 Length is 1 1/2 inches.